I am very lazy with my beauty routine, preferring fast action, simple applications rather than complex, multi-staged interventions. Apparently there’s a ‘thing ‘about double cleansing happening in beauty right now, I can hardly bring myself to clean once, let alone twice. We get generously gifted a lot of beauty stuff here at TWR. and it’s always the face masks that make my heart sink, because I really can never be bothered to hang about and let them work. 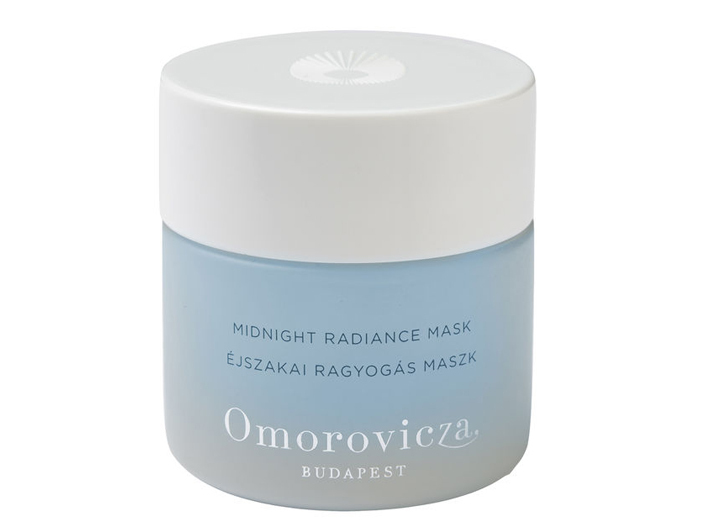 So hurrah for the Omorovicza Midnight Radiance Mask, which works while you are asleep. You simply apply before bed and wake up the next morning with plump and hydrated skin. Really, all beauty routines should be this simple. I was given this by the brand recently and I am half way through the pot, it is so good I’m tempted to use it every night as it’s excellent for reviving summer-parched skin. It is a light gel formula, not at all sticky so you don’t look like an alien or get your pillows messed up. Regular readers will know I rate Omorovicza highly as a mid-to-lux brand, it might not be the cheapest but it is always performs and is excellent quality. I’ve added a few of the products I use and rate below.